Possibly the most famous cleanser ever, Cleanse & Polish by Liz Earle has recently won its 100th award. When you consider how many new cleansers come onto the market every single year, to win 100 awards is pretty damn impressive stuff! When I first started blogging, Liz Earle's Cleanse & Polish Hot Cloth Cleanser was constantly talked about, not a day seemed to go by without someone raving about it or recommending it. It soon jumped onto my wishlist and when I finally tried it out, I was seriously impressed. Fast forward two or so years, and it's still a firm staple in my bathroom and one of those products that I always seem to have in rotation in my skincare routine. For those who haven't yet tried Cleanse & Polish, it's basically a thick cream cleanser that you massage into dry skin and them remove with either a warm muslin cloth or flannel / face towel. The 'Polish' refers to this latter removal technique as you use the cloth to gently 'polish' it off your skin, giving it a gentle exfoliation as you do so. Not only does it deliver a deep cleanse, but it's also one of the best makeup removers I've ever tried (and that includes stubborn waterproof mascara!). Apparently, a tube of Cleanse & Polish is sold somewhere in the world every 23 seconds which is mind-boggling but understandable given how great it is! Liz Earle Cleanse & Polish Hot Cloth Cleanser* retails for £14.75 for a 100ml tube & 2 muslin cloths starter kit. Available from various stockists including John Lewis and Liz Earle online. 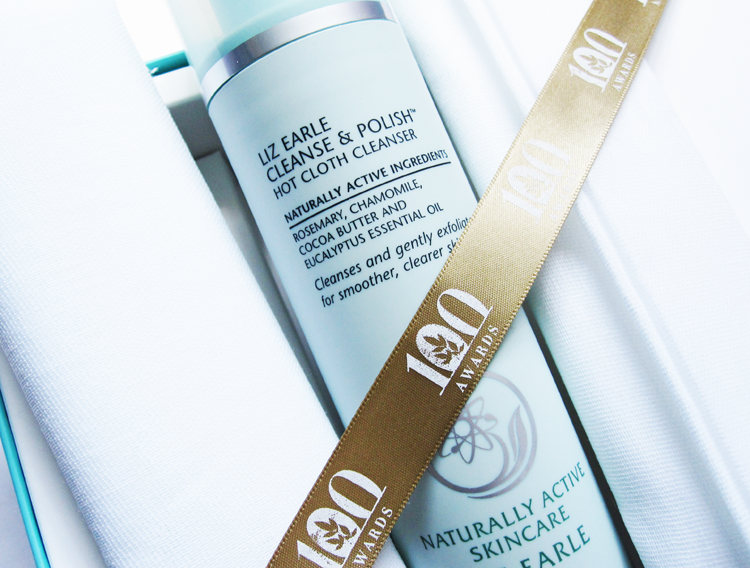 Have you tried / do you use Liz Earle Cleanse & Polish? What an amazing achievement. I want to try this but I've tried a few dupes that I really like so not sure if it's worth buying this at the price.